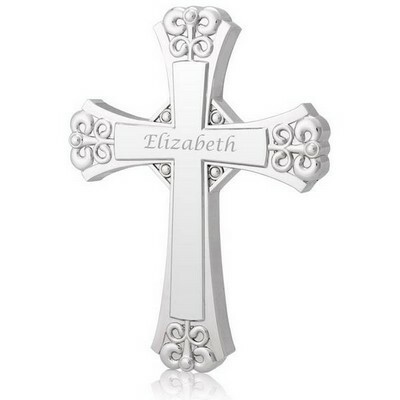 Personalize 1 Line [FREE] (30 char. max) You have 30 characters left. 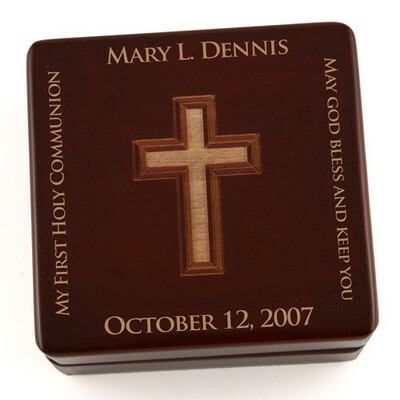 A personalized christening gift such as this is a wonderful way to celebrate such a special and blessed event. The personalized christening picture frame is a great way to show your love and support for the newly christened baby. 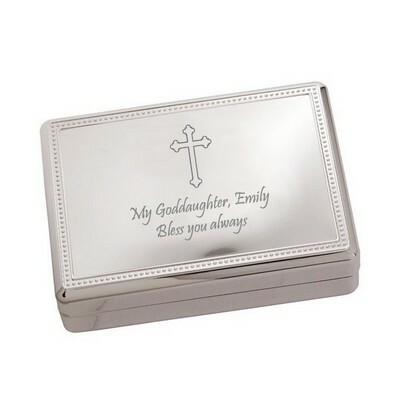 This personalized picture frame is made of metal, and is frosted giving the frame a very elegant look. 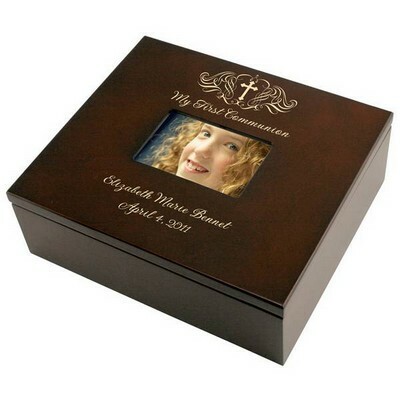 The design of this frame is truly special; it has a wave design curling around an embossed cross and embossed lettering that reads "Christening". 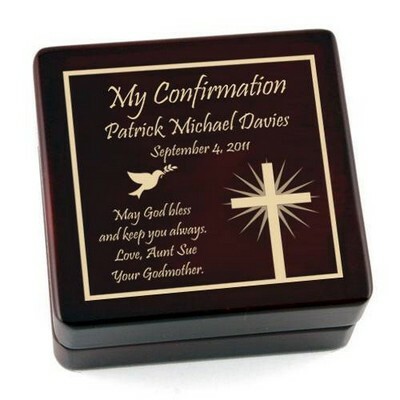 The metal frame is specially personalized for the christened baby by having one line of text laser engraved beneath the photo. 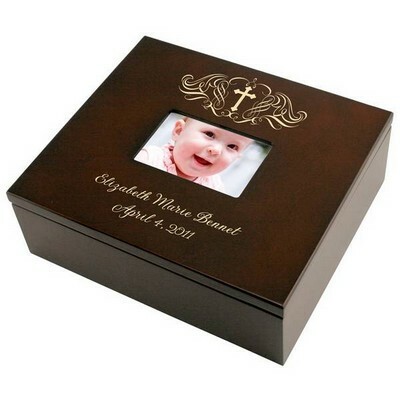 This picture frame will look so great with the powerful image of a newly christened baby displayed in the frame. 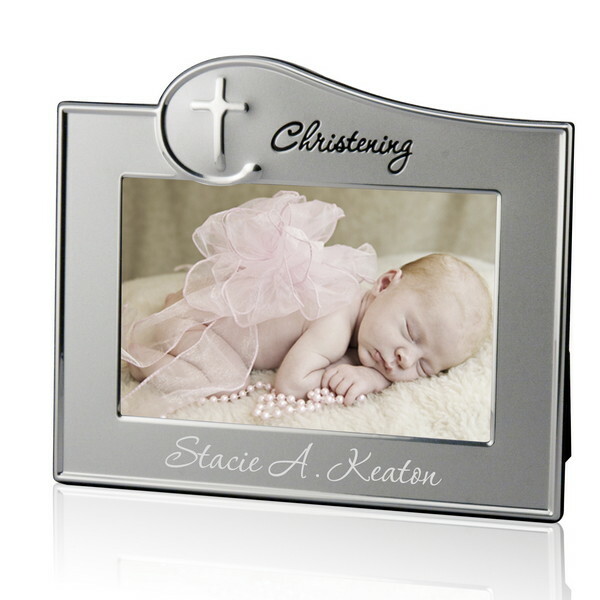 The personalized christening frame can fit a 4" by 6" photo inside the metal frame; overall the frame measures 7 3/4" by 6 1/2". 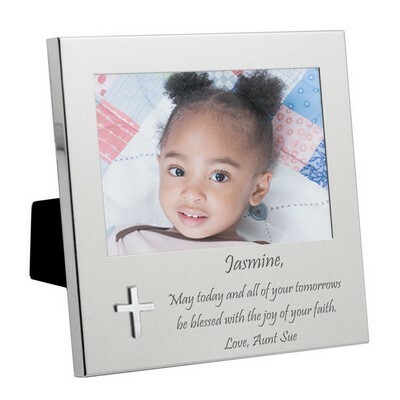 The size of the picture frame is perfect for being displayed just about anywhere. 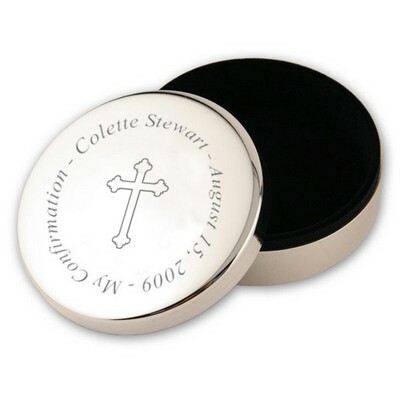 The christening picture frame is a meaningful and thoughtful gift to give to the parents of a newly christened baby; the parents can look at the picture they place inside the frame and happily remember such a special and monumental day. 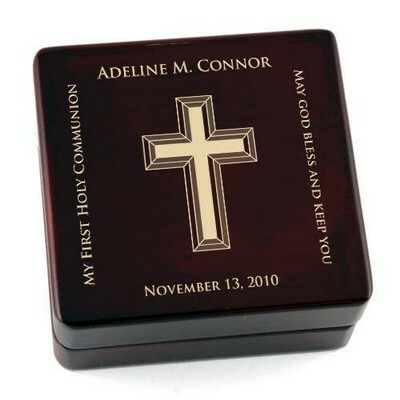 Personalize this gift with one line of text.